Have you ever watched a fashion show, an ad campaign, a TV commercial, or even a basic soap? I know you’ve seen pictures of your favorite celebs stepping out in public with sunglasses, right? Have you noticed that these models, actors, or socialites often have a very strategically put together look – from clothes to shoes, bags all carefully chosen to go with a particular outfit? That’s because accessories like sunglasses have a powerful impact on one’s persona. Most people think that shades are only good for protection against the harsh glares of the sun, but the fact is, they’re so much more than that. 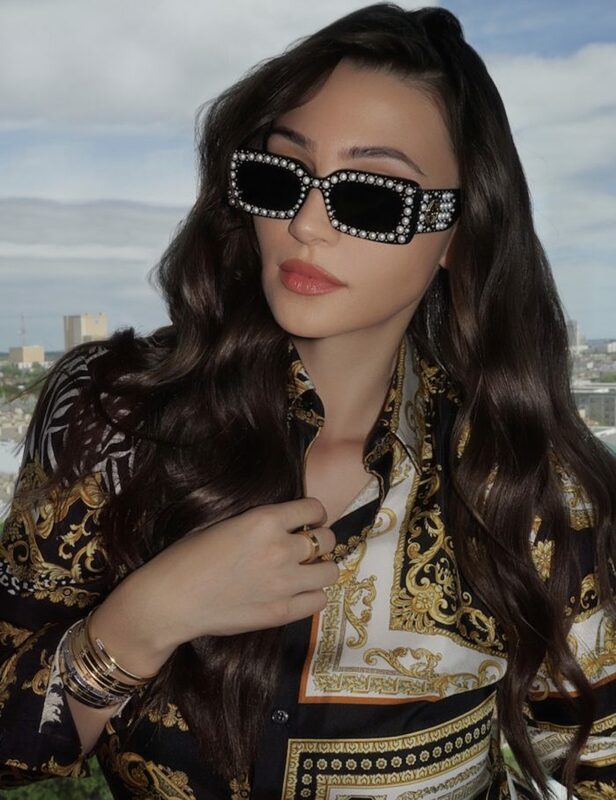 Sunglasses, for me, especially, are more than just a fashion statement – like the Valentino Vintage Cat Eye classics – though you cannot possibly deny the fact that the perfect pair can elevate your outfit to completely new levels, effortlessly. Sunglasses can be like a suit of armor. Eyes are the windows to one’s soul and sunglasses can be the ultimate shield when you’re not exactly in the mood to indulge in the world. When you’re running errands and don’t want to slather on makeup to make yourself ‘presentable’, you throw on a pair of your biggest sunglasses and you’re good to go. When you’re stepping out dressed to the nines and need your look to match the vibes of the place you’re at – think the Vegas strip – sunglasses such as Garob embellished sunnies – do the trick. Now, sometimes, this certain level of ‘coolness’ that can be attributed to sunglasses often causes people to be judged for buying and investing in a good pair. However, it’s important to know that sunglasses are equally as essential for your health, too. Sunglasses protect your eyes and the delicate skin surrounding them from harsh UV rays, preventing vision loss and facial derma damage. That said, there’s no need for limitations when it comes to sunglasses. The good part about this particular fashion accessory – often called the ultimate fashion accessory – is that you can never have a pair too many. Each pair of sunglasses tells a different story. From the highly oversized Bearcat’s, to the Gucci Faux pearls, sunglasses are as versatile in design and style as they are in function. Various shapes, colors, lenses, convenience, quality, and price tags vary considerably – making selecting the ‘right pair’ a very personal decision for us. You’d understand and relate to that if you’ve ever found yourself stuck in a store trying on pair after pair, still unable to pick the perfect one. The fact that there’s so many of the top fashion houses and brands offering premium quality eyewear makes this choice even harder. 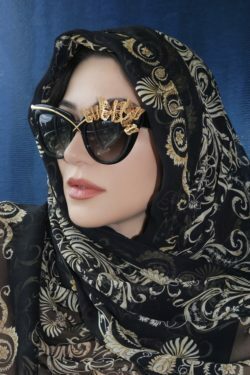 From Ray-Ban, to Tom Ford, Gucci, Dior, DKNY, Armani, Fendi, Guess, and more coming out with new and improved collections one after the other, the options are endless. And now that Spring has officially arrived, bringing with it the time to battle the sun with the perfect pair – or should we say ‘pairs’ of sunnies – we’re more confused than ever about what to buy. Luckily, the fashion catwalks have already showcased the latest spring summer 2018 collections, revealing the ultimate trends that are all the rage! From Kardashian’s favorite George Keburia’s Teeny Tiny, to Dior’s Tinted Shades, and Gucci’s Embellished Extras – the 2018 trends are nothing short of fabulous. If you love this classic accessory as much as I do and are officially on the hunt for that fantastic new pair for spring, feel free to take inspiration from, and shop for these ultimate shades, below.